We are switching from Brighthouse cable to AT&T U-verse today. Just waiting on the technician to get here. We currently have AT&T for our cell phone provider. The change was motivated due to our cable and internet going out on Superbowl Sunday, beginning with the half-time show and ending at the fourth quarter. Mr. Grumpbump had to listen to the game via his cell phone by using the I Heart Radio app. When I asked Brighthouse for a $25 credit for this disruption of service, they countered with a credit of $2.63. I'm still "negotiating" with them for my $25 credit. U-verse is promising us a lower monthly bill, free DVR, HD channels, and some premium channels (for one year). I read the reviews on U-verse and they were complimentary and positive, so we decided to make the switch. 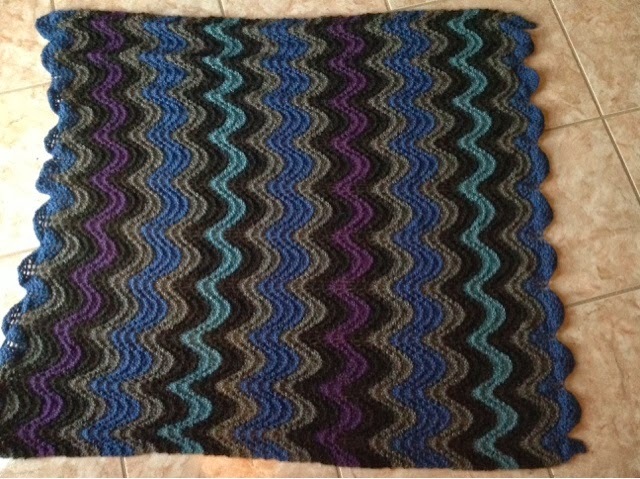 I'm still working on my latest ripple stitch afghan. 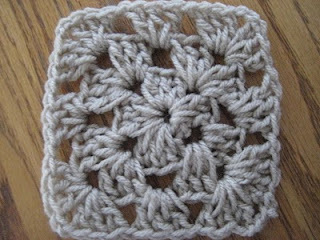 I think I will try to make it a bit longer than the previous two, if I have enough yarn. I'll have a lot of the red, beige and cream yarn left over (since those color blocks are smaller than the chocolate brown) so I'm trying to find some patterns for that purpose. 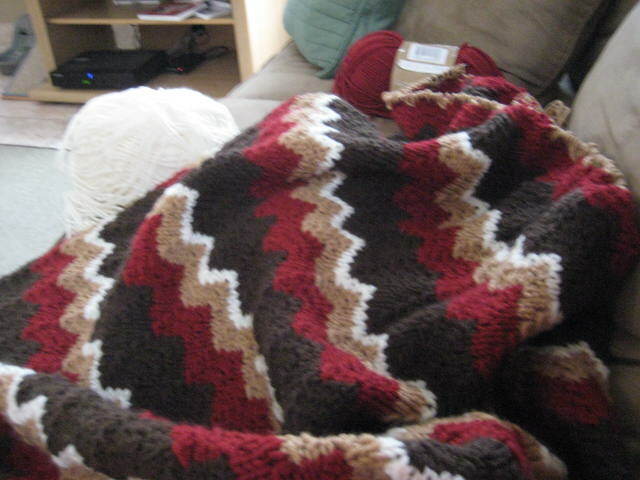 I could knit this pattern with my eyes closed; I've almost forgotten what it is like to have to read a pattern. In October, a co-worker told me about a cat looking for a new home. She called him a "kitty" so I assumed this was a young cat. The lady who owned the cat had a small child who was highly allergic to the cat and she needed to re-home him. I listened to the story but didn't volunteer to take him (surprise, surprise). I got the impression that he had found a new place to live. In December, this co-worker emailed me and told me that this "kitty" was still looking for a home (the cat was forced to live outside due to child's allergies). I feel a pang of sadness but I knew I could not convince Mr. Grumpbump to let me have a third cat. I did not respond but, in January, this persistent co-worker asked me if I would be willing to contact the cat's owner. She then sent me pictures of the cat. Wow. He was a cutie. And all of sudden, my mind started playing over all the scenarios in which I could adopt this cat. Turns out that Tigger is not a kitty, he's eight years old. And his owner was giving him up after raising him from a kitten! Tigger was very unhappy for the first two days, which is completely reasonable, seeing as I removed him from the only home he had known for eight years (albeit the last four months he spent in isolation outside and away from his family). His owner told me that he was a very friendly lap cat and a real lover, so I had hope for him. After the first few days, Tigger started to show signs of loosening up and relaxing. He is a purr machine; he purrs while he sleeps, purrs while he eats, purrs when you pet him. We kept him separated from the girls for the first 10 ten days, and he was living in our bedroom and bathroom. I started letting him roam around the house while Delilah and Macy were out on the patio. Now, three weeks later, all cats are leaving out in the open. Delilah and Macy have not warmed to him (if they ever will), but Tigger is a trooper and he tries really hard to play with them and to be around them. He's without his front claws, so he is at a disadvantage should there be a brawl, but the girls don't seem to realize that. When he gets near to them, they hiss or growl, but Tigger stands his ground. He doesn't move away, and it is Macy or Delilah who turn and retreat. 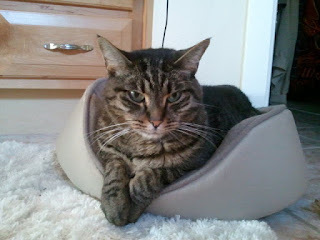 When I first brought Tigger home, I had an arrangement worked out with his owner that in the event things did not work out with us, that I would bring Tigger back to her. We decided to check back with each other in two weeks. Of course, I've already told her that we are happy to have Tigger stay with us and that, while things aren't perfect, they are perfect. Now, I need to work on getting him a new name.